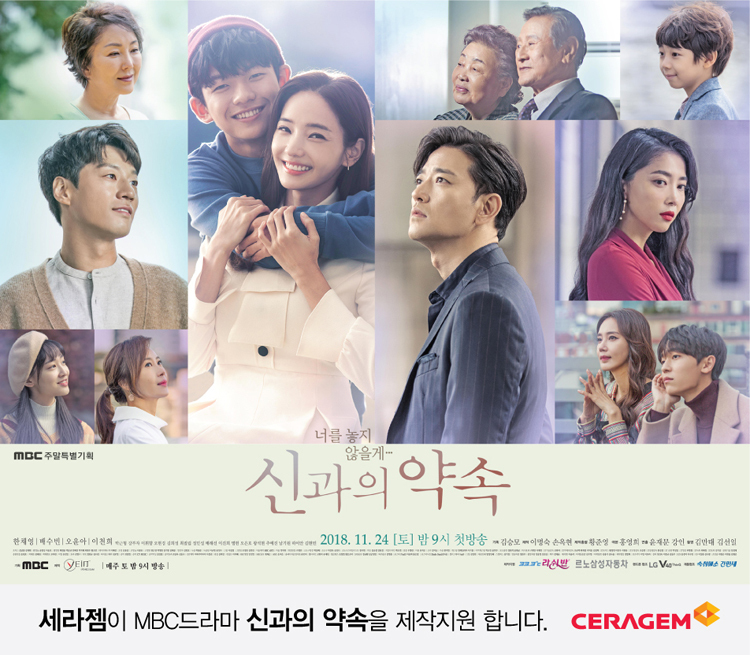 Ceragem, the global health care specialist, announces the production support for the special weekend drama on MBC, Promise with the God. The weekend drama first aired on the 24th,and is the story of two couples making the choices beyond general ethics and morals to save their child who is dying. This drama replaces the previous weekend drama Hide and Seek. As the global enterprise in about 70 countries in the world including the USA, China, and Germany, Ceragem has been gaining a lot of popularity from consumers since it started to sell products on the TV home shopping channels, improving its brand awareness and diversifying the distribution network in Korea. Meanwhile, the drama Promise with the God`started its journey from the first episode, which aired on the 24th and will continue until to the 48th episode. It airs at 9 p.m. every Saturday.